We exist to create homes that are healthy for people and our planet. While you and your family create the heart and soul of your home, we create a space that makes you feel safe, comfortable and nurtured. Designed to be stylish and enduring, our homes go beyond the aesthetic and give you a place that supports the rhythm and flow of your life. Communities that physically and emotionally connect you to your environment, your neighbours (only the ones you want) and the world. Communities that redefine what it means to be social while being socially and environmentally responsible, not just in our construction practices when we build your home, but in the innovative systems used to operate your community that save time, money, energy and our planet. We understand our business has environmental and social impacts . We believe in shaping inclusive places and spaces that are designed for all people to enjoy a healthy everyday living environment. Our commitment goes beyond the physical and extends into how we build. We have a responsibility to pioneer exemplary policy, research, processes and guiding principles that ensure our communities contribute to a thriving, sustainable metropolis. The ability of our business to create social and environmental change is a privilege. We make conscious choices to leverage the power of our employees, brands, customers and partners to support positive long-term changes that expand awareness and empower people in our communities to take action. Our promise to you is a simple, powerful reflection of our Built For Life trademark. This means building for today’s lifestyle so you can enjoy condominium living to the fullest, in beautiful, safe, healthy sustaining communities where the genuine care and outstanding experience of our customers is our greatest mission. To create social and environmental change is a privilege. 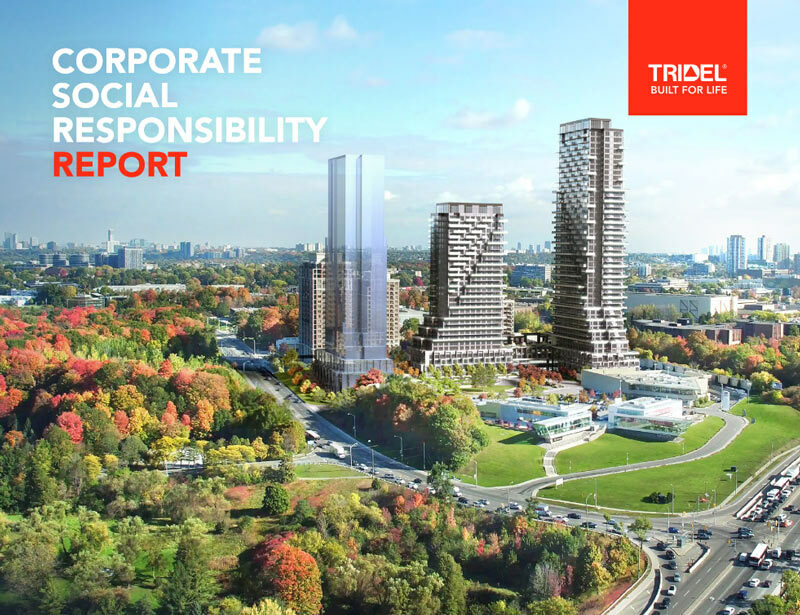 Tridel: An award winning tradition. Built Green. Built for Life. The environmental leader in our industry.